Refer to the above display or the Managed and Tolled Feed for the current toll amounts on the I-880/237 Express Lanes. Please drive safely, and refrain from using a mobile device while operating a vehicle. What is an Express Lane? An Express Lane is a portion of a High Occupancy Vehicle (HOV) lane, also known as a carpool or diamond lane, that has been converted to a toll lane in order to better manage congestion in a corridor or through an interchange. Express Lanes are monitored to ensure that a minimum speed of 45 mph is maintained per federal requirements. Express lanes are marked by large overhead signage, and smaller signs located in the median. The toll amount is posted on an electric changeable board within the large overhead sign. The toll varies dynamically based on congestion, and has a minimum charge of $0.30 and a maximum of $8.00. VTA currently operates Express Lanes on State Route 237. Learn more about the planning and history of VTA's Silicon Valley Express Lanes Program and the 237 Express Lanes project page. What is an HOV Lane? Commonly referred to as carpool lanes or diamond lanes, High Occupany Vehicle or HOV lanes are restricted to vehicles with a driver and one or more passengers. On many highways and expressways in the bay area, HOV lanes are marked with a diamond symbol and are reserved for carpoolers, motorcycles, and clean air vehicles with the proper green (plug in hybrid) or white (electric or alternative fuel) decal. The purpose of the HOV lane is to incentivize carpooling, lessen traffic congestion, and reduce air pollution. Who Can Drive in Express Lanes? During the peak commute periods, carpool vehicles can use the Express Lanes for free and solo drivers can use the Express Lane by paying a toll with the FasTrak® transponder. Keep in mind that solo drivers are not allowed in the HOV/carpool/diamond lanes. Solo drivers should merge into the Express Lane open access area when the FasTrak® signs are visible. When traffic is especially heavy on the 237-880 interchange, and speeds drop below 45 miles per hour (mph), the Express Lanes go into "HOV ONLY mode", a time when only carpool vehicles, motorcycles, and clean air vehicles with the decals can use the Express Lanes, and solo drivers can only use the general purpose lanes. Refer to our other pages for more information on Using the 237 Express Lanes, How FasTrak Works, and 237 Express Lane FAQs. Construction is underway to extend express lanes along State Route (SR) 237 west of First Street to Mathilda Avenue, which are slated to open in Fall 2019. Along with this extension will be new operating rules that will help better manage these lanes and provide consistency across the region, including requiring all vehicles in the express lane to carry a FasTrak® Transponder, motorcycles included. See the Bay Area FasTrak® website to obtain your transponder today. For more information on changes to the 237 operating rules, and clean air vehicle sticker program, read our blog post- New Rules Coming to SR 237 Express Lanes. What is "HOV ONLY Mode"? During "HOV ONLY mode", the words "HOV ONLY" will be posted on the changeable electric sign indicating that the lane is no longer open to solo drivers. 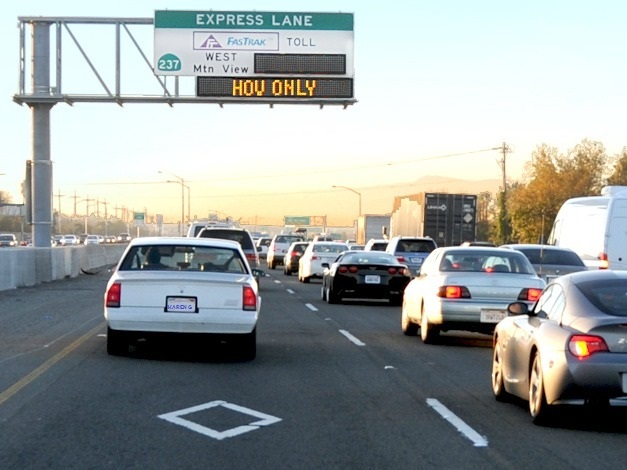 During "HOV ONLY mode", only carpool vehicles, motorcycles and clean air vehicles with the proper decals can use the Express Lane, and no toll will be charged. When are Express Lanes in Operation? Outside of these hours, the Express Lanes are open to all traffic for free. Where Can I Enter and Exit the Silicon Valley Express Lanes? As you approach an Express Lane you will see a series of signs in the median indicating the oncoming express lane, hours of operation, and the current toll rate. All signs are similar to any freeway sign, except for the current toll rate sign which is digital and changes depending on the toll rate. You will also see two-foot wide double white solid lines, and signs reminding drivers not to cross the double white lines. When driving southbound on I-880, you may enter the express lane in Milpitas, south of Dixon Landing Road where you will see the first overhead Express Lanes FasTrak® sign. Solo drivers with a FasTrak® transponder risk being cited by California Highway Patrol for a carpool violation if they enter the carpool-only section prior to the first FasTrak® sign. 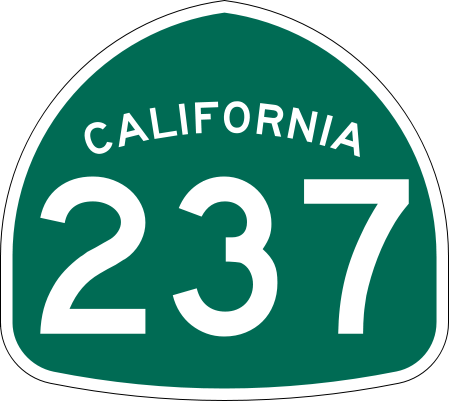 As you continue westbound on SR 237 toward Mountain View, the double white lines will end west of the Zanker Road on-ramp. Toll paying drivers will have until Lawrence Expressway to exit the express lane before it becomes an HOV/carpool lane once again. When driving eastbound on SR 237, you may enter the express lane halfway between North First Street and Zanker Road where you will see the first overhead Express Lanes FasTrak® sign. Solo drivers with a FasTrak® transponder risk being cited by California Highway Patrol for a carpool violation if they enter the carpool-only section prior to the first FasTrak® sign. The double white line striping begins just east of Zanker Road and will continue through northbound I-880, ending south of Dixon Landing Road in Milpitas. Toll paying drivers will need to exit the Express Lane approximately half a mile south of Dixon Landing Road where it becomes an HOV/carpool-only lane once again. The Double White Stripe that separates the General Travel Lane, and the Express Lane. The Express Lane Signs indicating that the Express Lane is up ahead. There is also a digital sign that indicates the price of the toll, which changes dynamically based on congestion in the lane. Sometimes the lane will be HOV only, which will be displayed on the digital sign. The FasTrak Electronic Transmittal System. What are the Benefits of Express Lanes? 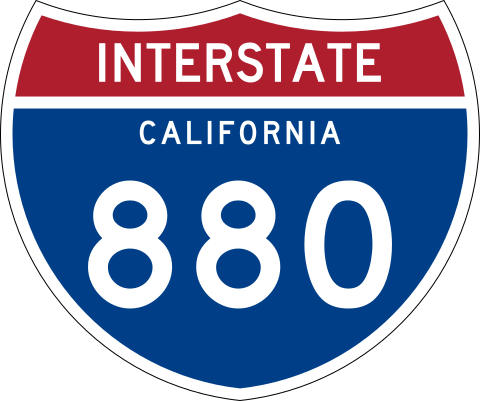 The 237-880 Express Lanes currently in operation can save a driver approximately 7 minutes when traffic in the general purpose lanes is backed up. Express Lanes are a more efficient use of the roadways because they can bring an underutilized carpool lane to full capacity during peak commute periods. Express Lanes provide a new, reliable travel option for solo drivers when they need it. Dynamic toll pricing helps limit overcrowding in express lanes. Express Lanes provide a new revenue stream for transportation and corridor improvements. The Alameda County Transportation Commission (ACTC) operates the I-580 Express lanes in Alameda County. The Metropolitan Transportation Commission (MTC) provides information about the Bay Area Express Lanes regional network. Copyright© 2019 Santa Clara Valley Transportation Authority (VTA). All rights reserved. Individuals or organizations interested in receiving information about upcoming public meetings or events can sign-up on our outreach list. Weekdays: 9 a.m. - 6 p.m. Weekdays:8 a.m. - 4:30 p.m.